Telling kids "you're so smart" may seem motivating, but in fact, research proves otherwise. 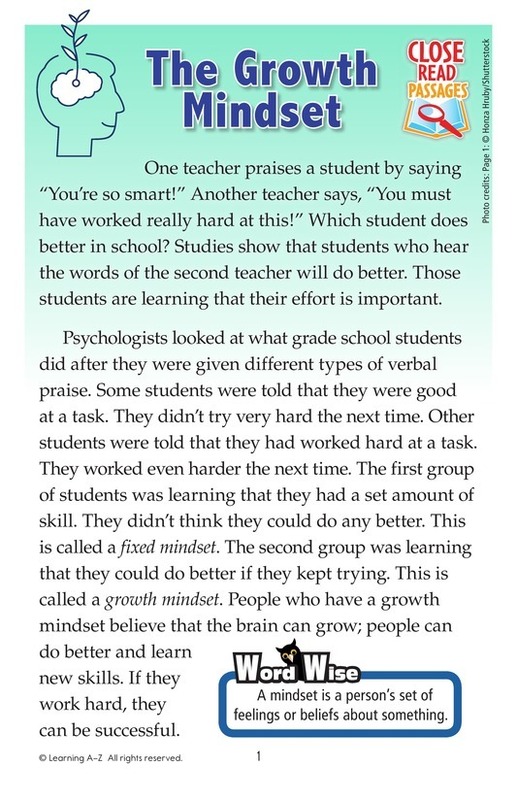 Readers are introduced to the growth mindset. 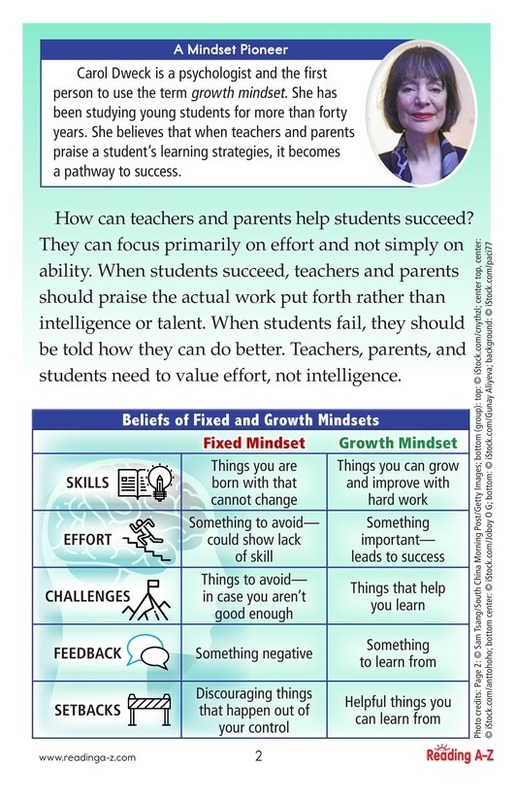 People who have a growth mindset believe that the brain can grow; people can do better and learn new skills. If they work hard, they can be successful.